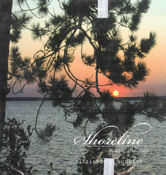 Elizabeth (Beth) Schultz grew up in Flint, Michigan, spending all of her summers at her family's beloved cottage on Higgins Lake in northern Michigan. Encouraged by her parents to read and to appreciate nature, she experienced the best of childhoods, and remained always blessed by her parents as well as by her grandparents and two aunts. Beth graduated from Wellesley College with her BA in 1958 and from the University of Michigan with her MA in 1962. Her long teaching career included Baika Jo Gakuen in Japan (1958-1961), a Fulbright semester at Bejing Foreign Studies University in China (2007), numerous universities in Japan, China, Russia, and Poland, in addition to thirty-four years in the English Department at the University of Kansas. Since her retirement from KU, Beth has become an advocate for both the arts and the environment in Douglas County. 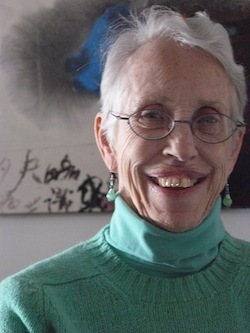 In 2006, she established the Elizabeth Schultz Environmental Foundation, which encourages citizens of Douglas County to apply for funding to support creative means for preserving and educating others about the environment. Today, Beth continues to write on Melville, but she has also become a memoirist, a poet, and an environmental writer. 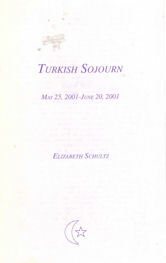 She has published poems in numerous journals as well as in five volumes of poetry. She served for many years on the local committee for selecting winners of the Langston Hughes awards in fiction and poetry. 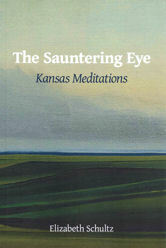 She also supported the environment through teaching nature writing, through her writing, and through establishing a column, "Sense of Place," in the Kansas Land Trust's Stewardship News, where she wrote primarily about specific sites in Kansas. A long-time supporter of the Association for the Study of Literature and the Environment, she was the co-organizer for the first ecocritical conference in Beijing in 2009. 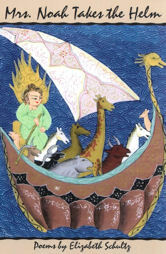 Mrs. Noah Takes the Helm reflects on the vibrating relationships among humans and animals, examining how catastrophes disturb these relationships, how the resulting tremors connect us, and how we survive together, learning from one another. 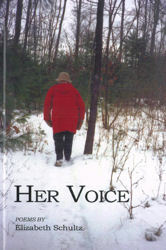 In those poems cast in the voice of Mrs. Noah, she appears as an avatar for all humans, especially for women, capable of facing disaster with ingenuity, good humor, courage, and compassion. Alternating with the Mrs. Noah poems are those in which animals are represented in diverse places and spans of time, where they may face life-threatening conditions, but where they also survive to model for us lives of dignity, perseverance, and mystery. Elizabeth Schultz's creation of the persona of Mrs. Noah is an act of poetic alchemy. 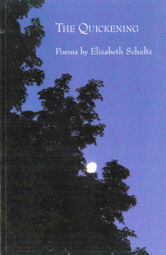 By imagining the character of this ancient, yet uniquely contemporary woman, Schultz celebrates the wonder of every creature, from giraffe to ant, while at the same time mourning nature's demise by human history. In lines that gleam with striking spot-on wit, Schultz captures the paradox of being human among animals: "We itched in our humility." Mrs. Noah Takes the Helm is a wild ark of delight. From ant to salmon to mamba to hippo, all of the animal kingdom gets honored here in Elizabeth Schultz’s Mrs. Noah Takes the Helm. 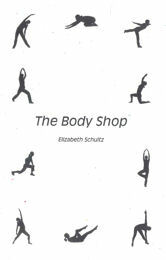 Schultz alternates sections between Mrs. Noah trying to keep all of the animals alive on the ark with her own visits to parts of the earth where the rarest of animals strive to live. Her poems prompt us to re-think the connections of human to animal and of animals to each other. This is a book anyone would love, many should read, but animal lovers will rejoice at the veneration of so many wondrous creatures. As soon as I finished reading Mrs. Noah, I started reading this triumphant collection, rich with insight and wisdom, over again. By choosing the most appropriate word, poets can astonish us with joy. Reading Elizabeth Schultz’s Mrs. Noah Takes the Helm achieves this especially through her verbs. In the menagerie she evokes in these poems, monkeys carouse, giraffes lope, mice hustle and snoop, opossums scuttle, salmon shimmy, cows mosey, ravens hang out, grackles prevail, elephants trundle. 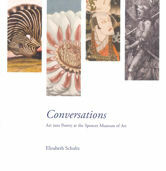 Schultz creates these many creatures with disciplined observation and affectionate insight. She is equally at home with backyard visions of mole and squirrel as she is with her imagined, Earth-large myth of Mrs. Noah, a survivor for our times.